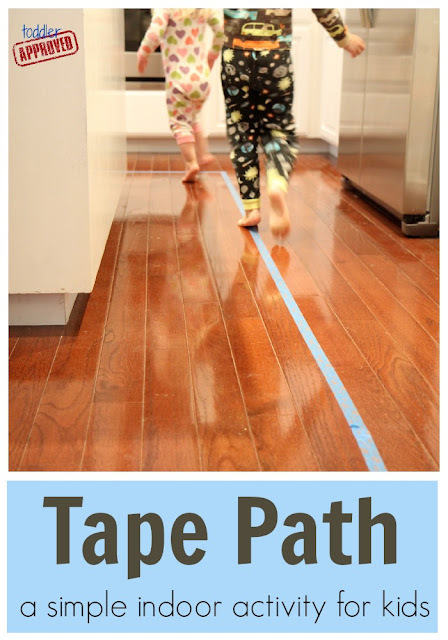 Making a Tape Path around your house is simple and requires nothing other than some painters tape and the floor. You can even grab some furniture to make a maze! 3. Walk on the tape path and demonstrate to your toddler how to stay on the tape. Once you've walked the path you can also slide like a snake or hop like a bunny around the path. Be creative! This activity gave me a much needed rainy day break because my son loved it so much and would do it by himself again and again. He loved it when I followed him along the path and tried to catch him too. In this activity you can teach your child a little bit about directions and types of lines depending on how you make your course. These are some of the vocabulary words you can point out as you walk through the path: right, left, straight, curvy, bumpy, crooked, short, long, etc. You can also talk about simple gross motor skills like jumping, sliding, hopping, and running. 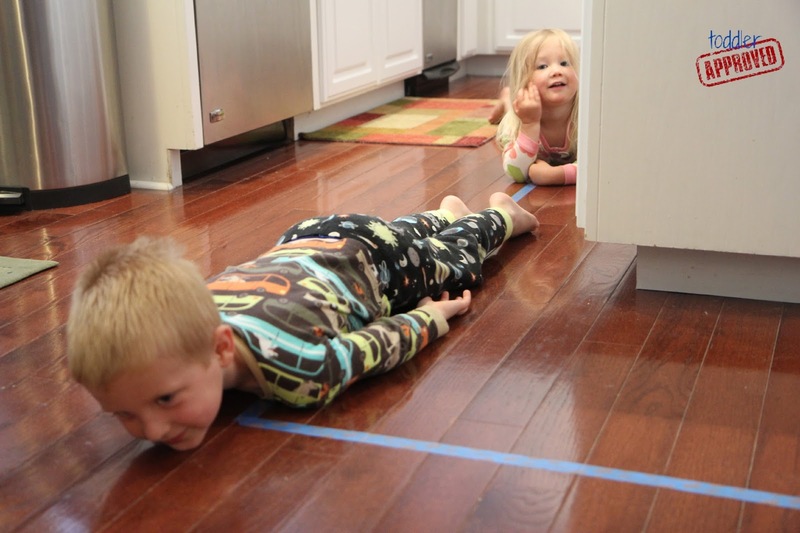 Do you like playing with painters tape?